We designed this case with the help of a local hire company. The case has blocks at the front to allow the headphones to be plugged in. The Dog box allows the customer to securely connect his snake to the mixer but gives a clean view . Buster Cases will design and build any case to suit your needs. 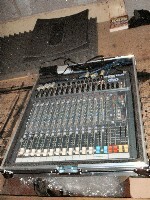 This case holds the mixer ready to use in the base. There is a storage space at the back a snake and the PSU. 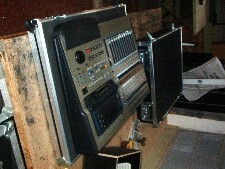 Pictures of an Akai Mixer case built for customer.